The Pittsburgh Steelers cut ties with disgruntled wide receiver Antonio Brown this offseason, trading the veteran star to the Oakland Raiders in exchange for a third-round pick and a fifth-round pick in the 2019 NFL Draft. Since then, Brown has continued to be a bit of a disturbance. Most recently, Brown picked a fight with Pittsburgh's up-and-coming star receiver, JuJu Smith-Schuster. AB later announced he was "done with the nonsense," but now another former Steeler is speaking on his behalf. 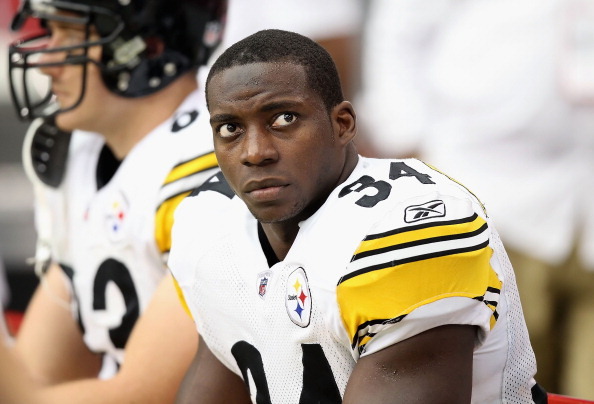 Rashard Mendenhall, a running back for the Steelers from 2008-2012, went on an exhausting twitter rant Wednesday night/early Thursday morning, in which he labeled Ben Roethlisberger a "racist" while comparing Antonio Brown to a slave. "Alright, I’ll end the mystery... B’s racist and @AB84’s black. He had to catch balls from a racist quarterback. Every honest player knows it, it’s not a big deal. He was just supposed to take his lickings and move on, like a slave for real." Mendenhall tried to change course on those remarks hours later, tweeting, "Clearly it’s no fun, when EVERYONE’s the accused...Please allow the dialogue in sports to be equal. Why’s it so easy to shoot at one player, but not the other? B’s not racist. Just like AB’s not a dirtbag.#letsbefair." You can read all of Mendenhall's tweets regarding Antonio Brown, Ben Roethlisberger and the Pittsburgh Steelers below.